I Found You, Mrs. Hopfinger! I will NEVER forget what "Anonymous" wrote to me on January 2, 2011. "I was reading 'My Little Prayers'. I stopped because my dog needed an emergency bath. My 14 year old son volunteered to read to his 5 year old sister, as an exchange. When I returned she said there was a story like "us." She turned to a prayer YOU wrote. 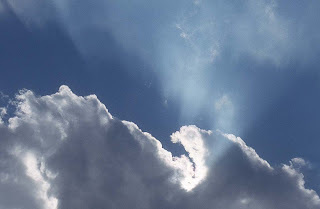 It asked God for help remembering loved ones in Heaven. An auburn haired man was among those in a "thought bubble". "There's Gramps! ", she said. My Dad died in November 2009. Now my Grandma, her "G.G." is near death. Your poem and the illustration made her feel 'Merry'. We shared a moment of hope and happiness. THANK YOU. I am sleepy, pecking at my mobile phone in the darkness. Know your prayer is with us. I thank our God we can share and have it. ( : Now I pray this makes it to you!" This beautiful note did make it to me and it touched me DEEPLY. It sums up the reason I write. With God's help, to give a little HOPE and HAPPINESS to even just one child. Mini-Books for Your child to Make---For School, Homeschoolers or At-Home Fun! Want to make a simple book with your child? A book they can read, color, even stick in their book shelf? Yes? Well then, meet LION and MOUSE, two lovable (even adorable!) and humorous characters who will help win the hearts of your kids as they learn basic math concepts! Nancy Sanders and I had so much fun creating this book together. In "15 Easy & Irresistible Math Mini-Books" students in grades K-2 read stories about Lion and Mouse---two best friends who find ways to use math in EVERYDAY situations, such as counting seashells at the beach, baking cookies, or going shopping. These scenarios reinforce the idea to young children that we are living in a math oriented world---but math does NOT need to be scary. It WAS scary for me as a young child. I can still remember my palms getting sweaty just thinking about having to write a problem on the chalk board! I only wish I'd had a book like this one. Understanding how math is incorporated into daily life is a KEY CONCEPT of developmental learning for primary-age children. Predictable language and repetition will help young readers gain confidence practicing their reading skills, while strengthening their math skills as the eagerly join Lion and Mouse’s math-driven adventures! Children will learn about fractions with Lion and mouse in "Camping Fractions". They'll watch the clock while cooking Tick-Tock Soup, and add the number of falling leaves. The last page of each mini-book is a related activity page that reinforces the story’s key math concept. Here's more fun---an extension activity is included to further reinforce the concepts in each mini-book. 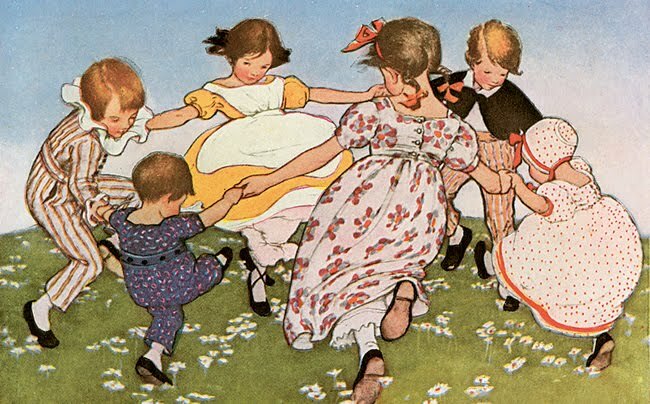 Children learn a rhyme about disappearing crickets as they count backwards from 5. They learn about shapes while cutting out birdhouses for a bulletin board display. They count to 100 while sharing small surprises from home. 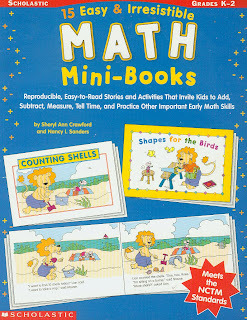 Nancy Sanders and I hope these funny math mini-books will make your students fall in love with Lion and Mouse, while sparking their interest in math! 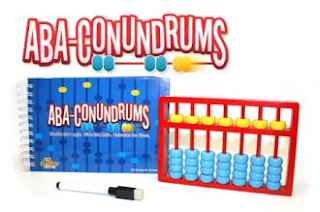 These mini-books and their corresponding activities correlate with the NCTM Standards (National Council of Teachers of Mathematics). The theme is described as the underlying thread that runs throughout the entire story. It's the MESSAGE. The DOMINANT IDEA. It's what the reader will "take away" after reading your story. New writers often grapple with this problem of THEME. So do some of us who've been writing a while! I like to write my theme (one sentence) on a 3 x 5 card and tape it to my computer. As I write, this reminder helps to keep me on the beaten path and not go off on "rabbit trails". Try not to hit the reader over the head with your message. Even fun, light-hearted books for kids have themes. They don't have to be "heavy". When writing for young children, it's best to stick with just one theme. Several themes will confuse the picture book age child about the message of your story. The theme must come through the action and reaction of the main character(s). The theme connects all events in your story. If you can tell someone what your story is about in a single sentence, you have expressed the theme. Example: The universal theme in the movie “It’s a Wonderful Life” is: Each individual’s life is significant and affects others. That is the DOMINANT IDEA developed in the story. The theme was developed through the plot. The PLOT: All that George Bailey goes through in order to see what life would have been like without him. Gabe Grasshopper didn't want the next day to come. "I don't want to go to school," he told his mom and dad. "You'll learn lots of new things," his mom said. "I don't want to learn new things," Gabe said with a frown. "That's too hard." "You'll learn how to read your favorite books and write your name," his dad said. "And you'll make new friends," his mom pointed out. "You'll learn about nature and the earth," his dad continued. "You'll learn so many new things at school!" Gabe's mom said enthusiastically. "I don't want to learn new things!" Gabe insisted. "Learning is too hard. I want to stay home and play. Playing isn't hard." Chatty Chipmunk hurried along, carrying a big basket. A most delicious smell trailed behind it. Chatty always welcomed a new neighbor with her award-winning cookies. "Hello! Welcome to the neighborhood," said Chatty to Puff Bunny. "How nice!" Puff said. "Please come in." They sat and talked in Puff's kitchen. Right away they felt like good friends. "These are the best cookies I've ever eaten," Puff said, munching her third one. "Thank you," Chatty said. "They are my PRIZE-WINNING cookies. And these are my blue ribbons." She pulled open her sweater to show the ribbons, pinned right smack dab in the middle of her apron. "Oooh! I sure would like to win a blue ribbon," Puff said. "Perhaps I'll enter the contest, too!" "Well, I'm certain to win again at this years baking contest," Chatty said. "But you can come over anytime to look at my ribbons." Theme for The Learning Bug: Overcoming the fear of having to experience something new and unfamiliar. Theme for Cookie Crazy: Competition between friends can be healthy even though it may be difficult. How did you do? You may have worded your answers a bit differently than mine, but did you identify the themes? When I read magazine stories and picture books, I like to see how soon I can identify the theme. It's a great exercise and can teach you how to introduce the theme SUBTLY in the beginning of a story. Are you ready to choose an age appropriate theme and start writing? Get out that 3 x 5 card and don't waiver. Have fun! What a privilege it is to present an interview with my guest (and good friend), Nancy I. Sanders! We'll be discussing her book, America's Black Founders. Get ready for some jaw-dropping information. Q: Nancy, in your new book, America’s Black Founders: Revolutionary Heroes and Early Leaders, how did you go about choosing those particular unsung heroes? A: I’ve been doing research about the early years of our nation, and the names of these founding fathers and mothers were everywhere I turned! Today, in the city of Philadelphia, there are historic markers with their names on them. In various city and state archives, there are historic documents with their names and their signatures on them. In newspapers from that era, there are articles written by them. In the records of the Revolutionary War, there are documentaries about their heroic deeds. The African Americans I included in my book from the founding years of our nation were community leaders and influential men and women of their day. I simply brought their amazing stories out of the dusty pages of history and into the light of our generation. Q: How exciting! Nancy, give us a time-line for this book, from coming up with the idea to its publication.  April, 2005: I first got the idea to write this book. I felt God calling me to share the story of Richard Allen, a great man of faith and strong Christian leader who was also a Founding Father of America. I let the idea germinate and grow inside me until I felt it was strong enough to share.  March, 2006: I pitched the idea for this book over the phone to Chicago Review Press, the publisher of my book, A Kid’s Guide to African American History, and the publisher requested a proposal.  October, 2006: I submitted the proposal to the publisher.  November, 2007: Editor Jerry Pohlen called me on the phone and offered me a contract. We set a one-year deadline. Wahoo!  January through December 2008: I wrote the book. A lot of prayer went into working on this manuscript, and I spent a lot of time sitting at the feet of Jesus while working on this book. Because Richard Allen and most of the men and women in this book were strong Christians who devoted their lives to sharing the Gospel, I wanted to make sure I was listening to God’s heart as I worked to tell their story through this manuscript.  December, 2008: I finished the book and submitted it for my deadline.  January, 2010: America’s Black Founders hit the market, already racking up presales of over 1700 books. From the time I first got the idea for this book in April, 2005 until I signed the contract in December, 2007, I worked on other book deadlines. Then I cleared my plate of most other deadlines so that for an entire year, I could devote my energies and focus on the intense research needed to write this book. It was a very challenging, yet very very rewarding journey to take. Q: America’s Black Founders, features 21 activities. What significance are these activities to this era in history, and how did you go about writing them? A: Each activity in this book holds important significance surrounding the history of America’s Black Founding Fathers and Mothers. For instance, there is a recipe for Pepper Pot Soup in my book. This was a hearty dish that George Washington requested be cooked for the troops at Valley Forge during that long, cold winter when many of the troops were starving. There were quite a number of black troops who suffered along with the other patriots at Valley Forge that winter, so this is a dish they probably ate. Another activity encourages students to “pen a patriotic poem.” This activity is included in the book because of Lemuel Haynes. A black minuteman, Lemuel Haynes marched with his company from Granville, Massachusetts to join the Siege of Boston. The battle of Lexington had just occurred and militia poured in from all over the region to camp outside of Boston and not let British troops molest the countryside again. Lemuel Haynes and his company camped outside of Boston as well. While there, Lemuel Haynes was so moved by the account of the battle of Lexington that he wrote a stirring ballad about the event. He titled his poem, “The Battle of Lexington.” His handwritten poem from 1776 is still in existence today! I located the poem and included the image of it in my book. Then I encourage students to follow Lemuel Hayne’s example and write a poem themselves to honor a great moment in history. To help make a list of activities to include in my book, I researched various historical sites and explored the types of activities they did with students visiting their sites. I even communicated with the activity director of one historic site who helped explain how they had students make a stuffed straw mattress. I included this in my book as an example of the type of work children had to do who were slaves and lived in homes in cities such as how Richard Allen spent his early childhood days in Philadelphia working as a slave of prominent colonist Benjamin Chew, attorney general of the Province of Pennsylvania. I’ve written a number of activities for other books of mine. Usually, once I determine an activity that has value, I make it. I might not make the entire activity, as I didn’t make a full-sized stuffed straw mattress, but I worked with folding a small piece of fabric and stuffing it. I relied on my conversation with the activity director to give me the confidence to know this was an actual project that kids could successfully do. Even though the step-by-step process to make these historic-based activities might not be exactly how they were made, the process is “based” on the real activity and students “feel” like they’re making something real. Many times, I take a lot of photographs of each step of making the activity. For instance, when I stitched together a fanner, or basket used to winnow rice, I took photos of starting the fanner, making knots, and adding rows to the basket. I took photos of the fanner on a table for each stage of the process. But I also took photos of holding the fanner and the needle in my hands to actually show students how they should hold it as they make it, too. When I submitted my manuscript, I also submitted all these photographs. The publisher forwarded these to the artist who used exact images as reference to the drawings that were included with the instructions in the finished book. Many publishers ask for these photographs when activities are featured with a manuscript, so now I just automatically take the photographs when I make the sample activities and submit them on a disc with the completed manuscript, even if a publisher doesn’t ask for them. They are always so grateful! Nancy, thank you for sharing these treasures about some of American's most amazing and influential men and women. America's children need this inspiring book! Educational Markets for Children's Writers. Thanks, Evelyn! Award winning author and puzzle creator has done it again! Evelyn B. Christensen updates and posts the most recent educational markets for children's writers. Why? Because she's not only a wonderful writer---she's a spectacular person! Several years ago I spoke with a teacher who changed a little girl's life---mine. It took me more than 20 years to track her down. I was never going to give up because I needed to thank her. "Is this the Mrs. Hopfinger that taught at Fullbright Elementary School," I asked. When she said "Yes it is," I burst into tears. "I found you, Mrs. Hopfinger! I found you," I blubbered. She probably thought I was a telemarketer with some strange new technique to keep someone on the line. She didn't hang up. When I told her I was one of her former students she said with delight, "Oh, darling---is it really?" Mrs. Barbara Hopfinger was my early elementary grade teacher during a time when something life-shattering turned my world upside down. To me, Mrs. Hopfinger was bigger than life. She was the Statue of Liberty. The President of the United States. The Seven Wonders of the World. She was more fascinating, delightful, and full of life than Ms. Frizzle in the Magic School Bus could ever be! 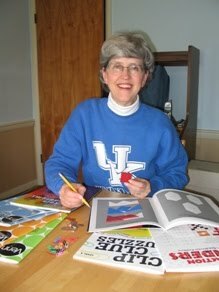 Barbara Hopfinger was a vibrant and committed educator. She absolutely loved teaching---but more than that, she loved the children she taught. I was one of those fortunate children. I will never write about the dreadful circumstances of my past, but it is vital that I write about how God brought this wonderful, loving teacher who became a life-preserver, to a little girl drowning in a sea of emotional pain. I do this simply to honor her. There were times when I stayed in class during recess. She knew what I was going through and tried her best to help me through it. I can still picture her big smile and that red lipstick I liked so well, as she held out her arms for me to come to her. I sat on her lap and she hugged me, much as a mother would. I felt safe. I felt loved. Mrs. Hopfinger spoke soothingly and with conviction as she talked to me. I'm sure this beautiful teacher had no idea she was giving me a gift I would cherish for the rest of my life. She convinced me that I mattered. When she told me I was smart, although I felt stupid---I believed her. When she told me I was special in so many ways, although I felt broken and worthless---I believed her. She even called me pretty. Now, that was a stretch! I had a space between my big front teeth, a home-perm gone bad (every time! ), and freckles the size of Mars on my nose. Mrs. Hopfinger obviously saw past any imperfections in her children. Instead, she saw what they were capable of doing and becoming. She saw our potential and made us believe it, too. Mrs. Hopfinger allowed me to believe that I was more than a broken little life, and she simply wouldn't allow me to stay there. Do you find it strange that a teacher could have such a positive influence on someone so young, and in such a short time? I don't. I've experienced it. I carried the affirmations she gave me in my heart as I grew. They were like seeds that took root. At times when there was no one to talk to, I remembered my beautiful teacher and friend. 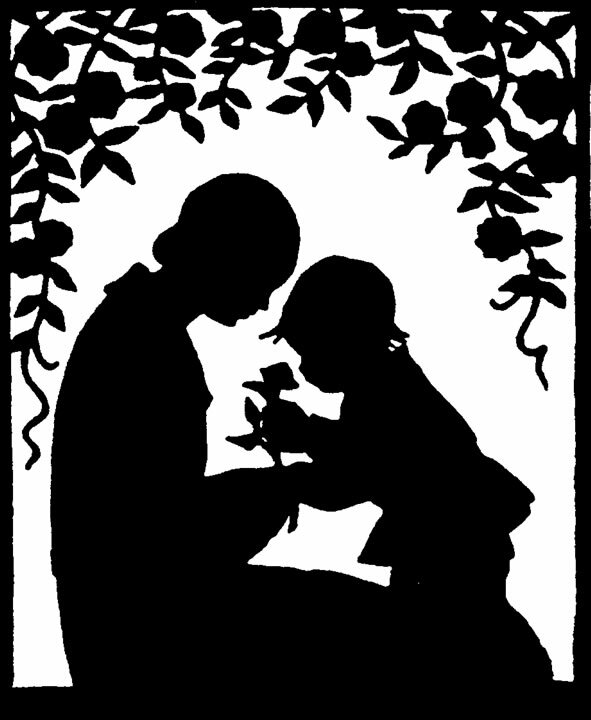 In my mind I pictured a fragile little girl in the arms of a wise teacher---and I would say "If Mrs. Hopfinger believed it, then it's true." A teacher can make a MONUMENTAL change in a child's life. I wonder how many others remember her the way I do. I surely can't be alone. Today I'm a wife, mother, grandmother, a volunteer Red Cross nurse, and a published writer. I do believe it was the grace of God that brought Mrs. Hopfinger into my young life so many years ago, and I finally had the chance to tell her that. Before we hung up I said now that I'd found her, my next book would be dedicated to her. There WILL be a next book in honor of beautiful Mrs. Barbara Hopfinger, from the the little girl who still loves her. Horrible things happen every day and everywhere. The harsh reality is that at some point each child will become aware that life isn't all sunshine, hugs, and playgrounds. Families are struggling to stay in their homes and put food on the table. The news tells of child abductions, murders, divorce, deadly tornadoes, earthquakes and flood's. Can we still offer hope to children in this kind of world? Of course we can, and we MUST! My hairdresser tells me that in spite of the struggling economy, his business hasn't dwindled. In fact, it's UP. When I asked him why this was he replied, "Women want to feel good about themselves when they don't feel good about anything else. They may have to eat beans and rice to afford the hairdresser, but by making themselves look better they FEEL better." Children need to feel better in difficult times. If some of our writing is for the secular market, can we offer any kind of hope when we write about days at the zoo, pets, friendship, love, family, or just plain silly books to make them laugh? Absolutely! Those wonderful, fun, precious, thoughtful, and even silly things exist even when horrible things exist right alongside them. HOPE is still there but you, the writer, may need to help them find it. Magnify the hope for children who cannot see it. Because I'm a Christian, my hope is in the Son of God and His promise for eternal life. That is a hope that never fades. If you write for the Christian children's market it's obvious where your hopeful words will lead. What a privilege and calling it is to write words of God's hope for children! Some books for children offer hope in Christ to those dealing with topics like divorce, death, moving and leaving a best friend, going to a new school, fears of all kinds, losing a pet, and other harsh realities of life. When you write for the secular or Christian market, write about good, wholesome topics for children---stories with values and messages to lift the heart. Write to help a child through emotional pain, loneliness, or fear in a frightening and unstable world. Just imagine---God may use your book or even a simple magazine piece to give comfort and hope to a child whose heart is crying. Bless a child and MAGNIFY the HOPE!